We’re nearing the start of the 2011 World Series of Poker (WSOP) Main Event in Las Vegas on Thursday. 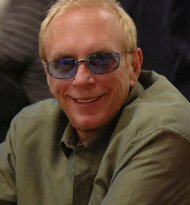 Today, WSOP officials got the week started off with a bang by opening nominations for the Poker Hall of Fame Class of 2011. The process will culminate with an enshrinement ceremony during the November Nine weekend four months from now. By the way, be sure to check out all of our 2011 WSOP coverageof online poker players, brought to you by 24hPoker, an Entraction Network site. Learn more. From now until August 14th, you can cast your ballot at wsop.com/phof and tell the world who you think is deserving of a Poker Hall of Fame bid. You’ll be asked to provide your name, address, birth date, e-mail, nominee’s name, and a 250-word or less argument about why he or she is deserving of your vote. In a change from 2010, each nominee must be at least 40 years of age. The so-called “Chip Reese Rule” ensures that no new member will be younger than Reese (pictured) was when he was inducted in 1991. The Chip Reese Rule means that fan favorites like Phil Ivey (35 years old) and Daniel Negreanu (36) will not be inducted this year. In 2009, Tom Dwan, then 23 years old, appeared on the ballot following public nominations. After public voting closes on August 14th, a Nominating Committee will review the list and whittle it down to the names that will be considered this year. The Nominating Committee is a brand new addition to the Poker Hall of Fame voting process this year and can add players it feels the public may have overlooked. The top two vote getters, assuming they obtain a majority, will be enshrined in November at the Rio in Las Vegas. Last year, Dan Harrington and Erik Seidel (pictured) were inducted in front of a packed house at the casino’s Penn and Teller Theater. The first group of inductees entered the Poker Hall of Fame in 1979 and included Nick “The Greek” Dandolos, James Butler, Edmond Hoyle, Felton “Corky” McCorquodale, Johnny Moss, Red Winn, and Sid Wyman. 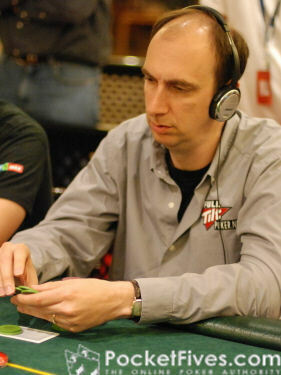 Since 2001, the Hall has grown to include the likes of Stu Ungar, Johnny Chan, Phil Hellmuth, and World Poker Tour Host Mike Sexton, who was the lone inductee in 2009. 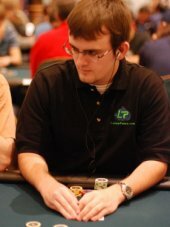 Check out all of our WSOP coverageof online poker players, made possible by 24hPoker.